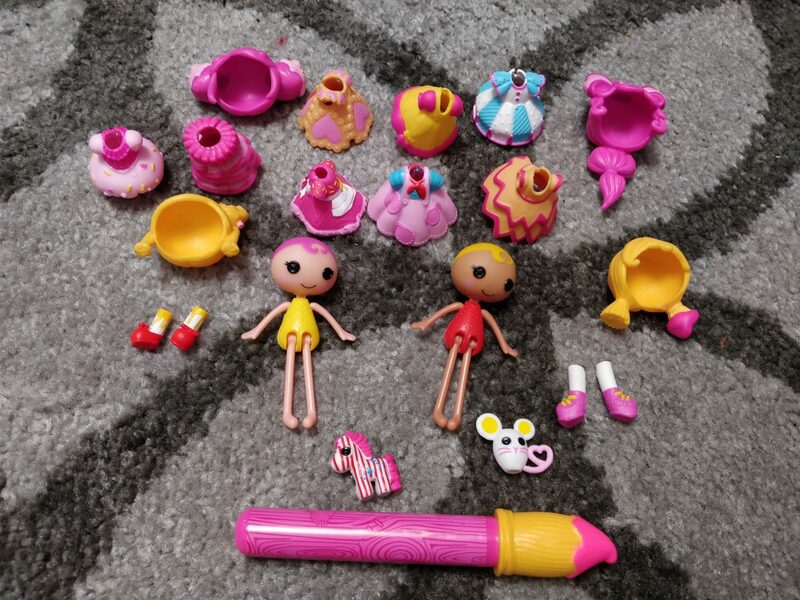 The set contains 2 dolls: Spot Splatter Splash and Crumbs Sugar Cookie along with a number of accessories: 8 dresses, 4 hair pieces, 2 pairs of boots and 2 ‘toys’. 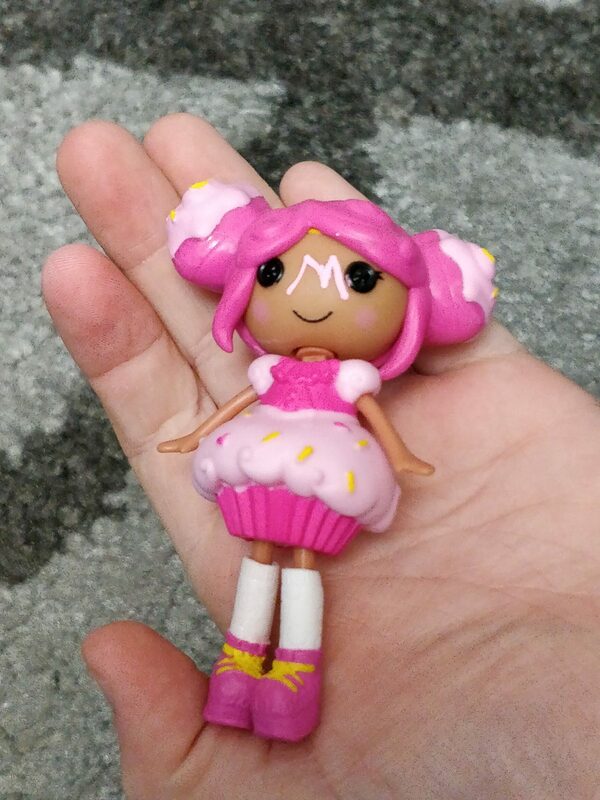 You also get a magical pen that allows you to draw on the dolls and clothes and simply wipe it off afterwards. The whole set comes in a zipped, see through plastic bag which is quite handy for storage when it’s not being played with. 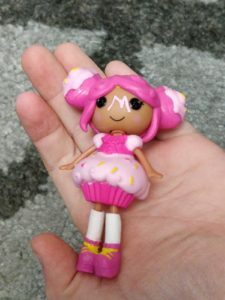 You could also use it for other LaLaLoopsy Minis, which are available separately. The dolls are easy to dress and the different clothes/hair stay on well and are a good fit. 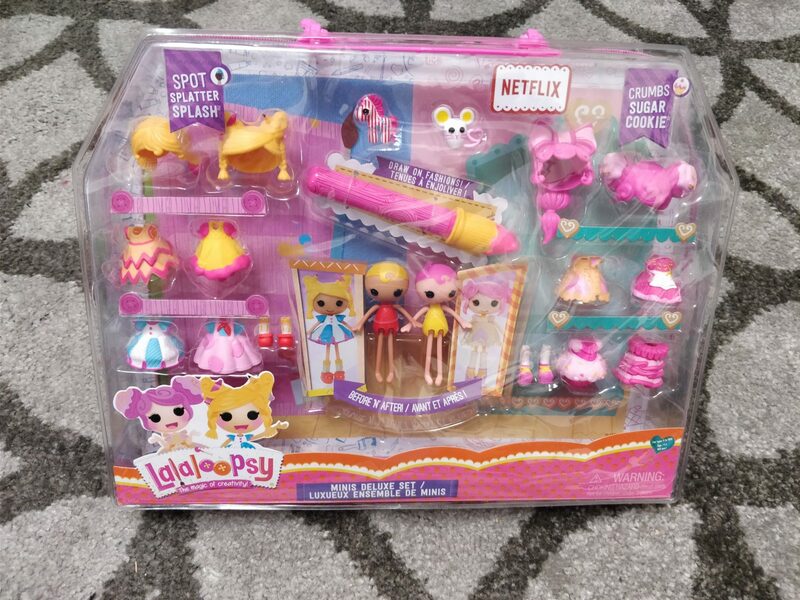 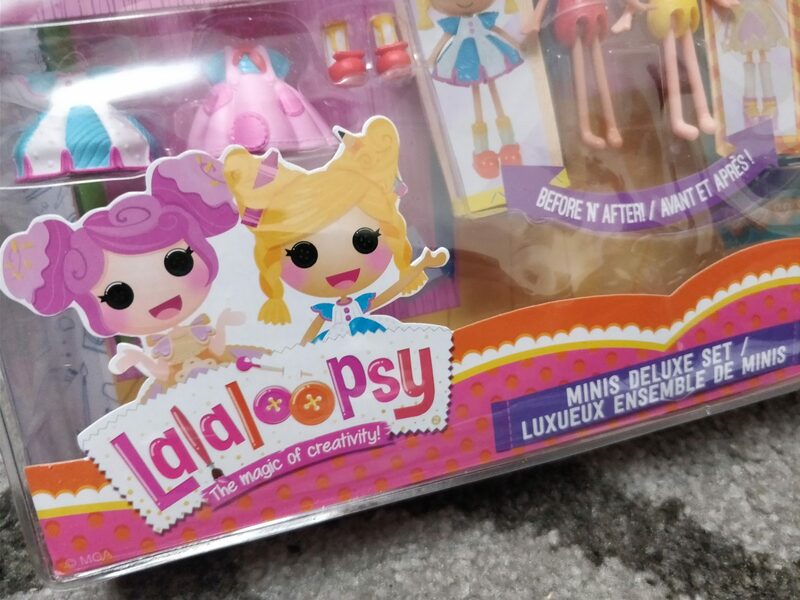 The pen that comes with the set is designed to look like a paint brush and contains special ink for decorating your LaLaLoopsy mini doll and their clothes. 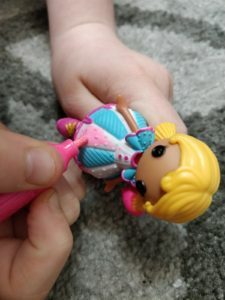 The pen is a very bright pink which shows up well on both the dolls and clothes plus, when it’s dry, it is easy to wipe off with a damp cloth. 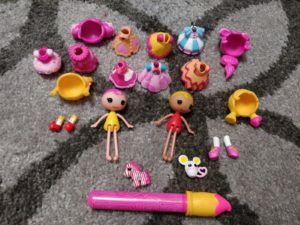 It would have been better with a few different colours as drawing pink on mostly pink clothes does have limited playability. 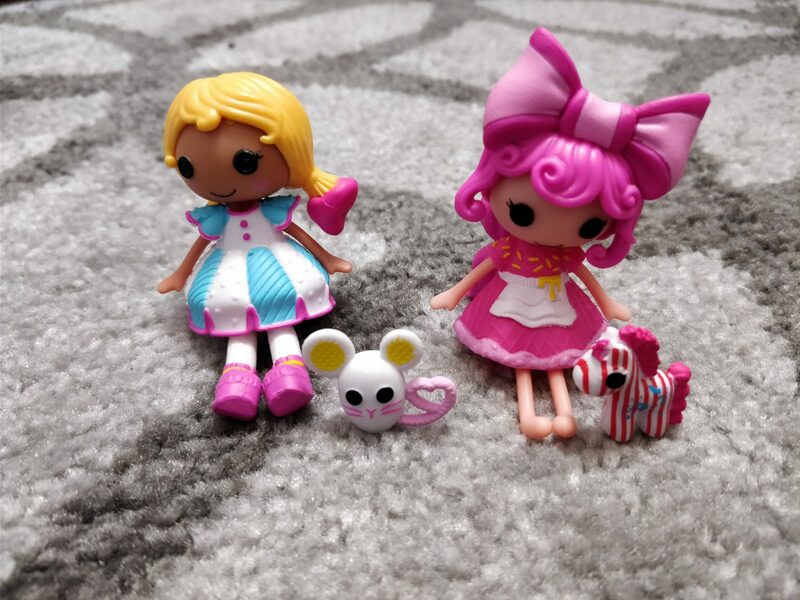 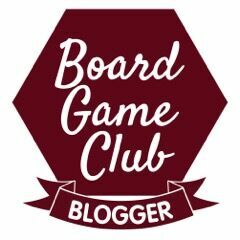 The dolls and accessories are well made and I do like how there are a number of different Minis you can build you collection up with. 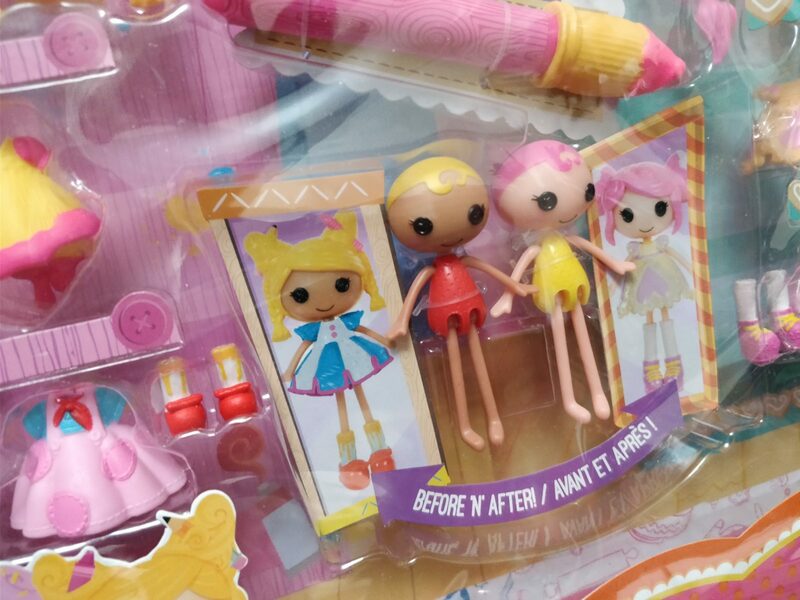 However, for the size I do think that the RRP of £19.99 is a bit steep. Still, Phoebe enjoyed playing with them and at the end of the day that’s one of the important things. 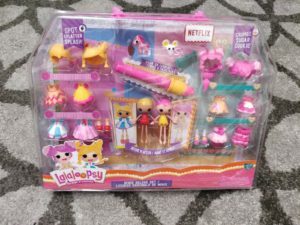 Disclaimer: We were sent the LaLaLoopsy Mini Deluxe set free of charge for the purpose of this review. 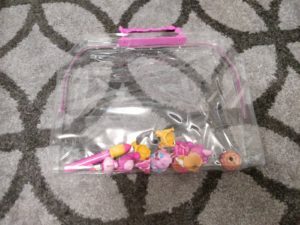 All words and opinions are our own.